Dr. Wang Pu is a doctor of rehabilitation medicine at Yosemite Clinic, associate chief physician, associate professor, graduate advisor for master candidate. Dr. Wang graduated from Medical college of Wuhan University. He conducted his postdoctoral research at the rehabilitation medicine center of West China Hospital of Sichuan University. Dr. Wang has more than ten years of clinical experience at the physical medicine and rehabilitation center of West China Hospital of Sichuan University and the rehabilitation medicine center of Ruijin Hospital of Shanghai Jiao Tong University. 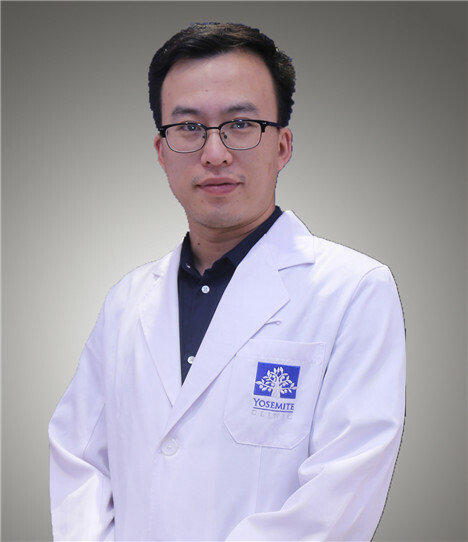 Dr. Wang is specialized at treating neuropathic pain with rTMS therapy; various injection therapies under ultrasonic guidance; treaing osteoarthritis and osteoporosis; treating neck and shoulder pain and pain in lower extremities; and especially treating adolescent idiopathic scoliosis (AIS) with both physiotherapy and kinesitherapy.